One of the overwhelming problems that software producers must contend with, is the unauthorized use and distribution of their products. Copyright laws concerning software are rarely enforced, thereby causing major losses to the software companies. Technical means of protecting software from illegal duplication are required, but the available means are imperfect. We present protocols that enables software protection, without causing overhead in distribution and maintenance. 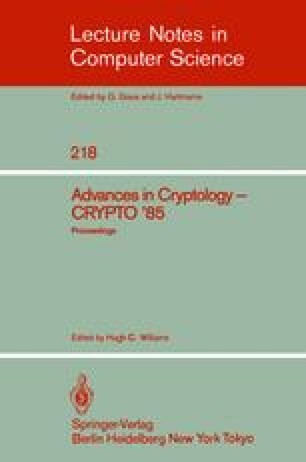 The protocols may be implemented by a conventional cryptosystem, such as the DES, or by a public key cryptosystem, such as the RSA. Both implementations are proved to satisfy required security criterions.